louboutin shoe repair NYC Brooklyn Bay Ridge Go To An Experienced louboutin Cobbler Would you get your Mercedes automobile’s maintenance done at a mechanic’s shop that specializes in working on Kia cars? Probably not. So why, take your Loubis to a cobbler who doesn’t specialize in working on them? Many women have haphazardly dropped off their shoes to a cobbler—who may have done a good job repairing a tap on their heels—-only to come back to find that their red soles have been completely replaced with a black rubber one. Crazy, right? But, it has happened. Try doing a little a research. A good place to start: Elegant shoe repair. 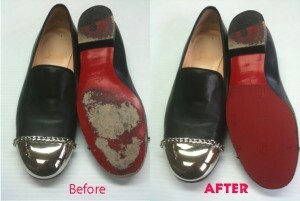 We offer Full shoe repair service nyc and Brooklyn to restore your louboutin. Red color match, longer lasting and easy to fit. The BEST thing you can do for your louboutin is to bring it to a Elegant shoe repair and get them fitted with red soles. With doing this, you are definitely prolonging it’s life and keep that gorgeous red you love so much. We have been dealing with fixing up louboutins for years and know what we are doing. 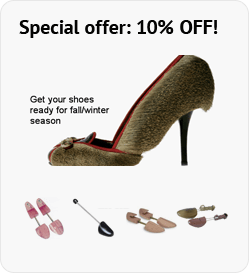 We understand that you have invested a lot of money in louboutin and cannot let them go so easily. The best way to enhance their life is by getting them repaired in a professional way. Try our louboutin repair service in NYC to give a new life to your old pair of shoes. Our vast experience and expertise helps us to come up with the best results every time. So give your worn out accessories a new lease of life with our extensive repair services encompassing shoe repair, heels repair, shoe shine, stretch shoes and boots, belt adjustment and fixing, leather jacket repair, bag repair, men shoe repair, women shoe repair, luggage repair, dye leather and cut heels.